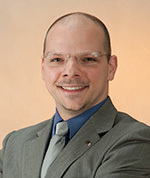 Stephane Cotichini is Chief Operations Officer of Gender Intelligence Group. He has spoken at numerous events including the California Women’s Conference in 2014. For the past 15 years, Stephane has worked with Fortune 500 companies to bring Gender Intelligence to the workplace. He is a primary facilitator of workshops and events for the Gender Intelligence Institute, a non-profit organization. Stephane has led teams in many sectors including hospitality, retail, and tech and has founded a number of companies including Joiiin Mobile App, 81monkeys Games Studio, and Afton Lane Virtual Services. He also currently holds positions at 81monkeys as Founder/Game Director, and at FrameWork Virtual Services as Director of Employee Experience. 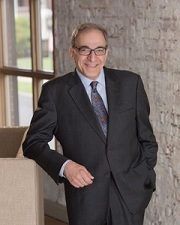 John Fayad is a former executive with the Coca-Cola Company and AT&T Global Information Services who today provides coaching and leadership skills training to c-level leaders and senior managers in companies across the globe. His areas of focus include gender relations and leadership development. John is a writer, facilitator, and frequent speaker on The Nature of Gender Differences and The Business Case for Gender Diversity. He works globally with Fortune 500 companies and organizations such as American Express, Coca-Cola Company, JPL NASA, L’Oréal, Nissan, and SAP, providing keynotes and facilitating interactive Gender Intelligence workshops. In 2011, John collaborated on his first book with RHR International’s doctoral-level psychologists, Inside CEO Succession Planning, an essential guide for establishing a best practice in succession planning. This seminal work by RHR includes assessing and addressing the social-psychological factors of ego, role-relationships, power, and emotion associated with relinquishing leadership, preparing successors, and ceding power and authority to others. John has also collaborated on three books on gender relations at work and in personal life, including Work With Me: The Eight Blind Spots Between Men and Women at Work (Palgrave-Macmillian 2013), with gender expert Barbara Annis and co-author John Gray, author of the best-selling Men Are from Mars Women Are from Venus. John was also lead writer and editor of Gender Intelligence: Breakthrough Strategies for Increasing Diversity and Improving Your Bottom Line (May 2014), by Barbara Annis, co-authored with Dr. Keith Merron. John most recently collaborated on Results at the Top: Using Gender Intelligence to Create Breakthrough Growth (May 2017). This latest book by Barbara Annis, co-authored with Richard Nesbitt, former CEO of the Toronto Stock Exchange and former COO of CIBC. John began his professional career with the Coca-Cola Company in new product development including the market development and launch of Diet Coke®. In 1999, John became CEO and publisher of Business Book Review®, an online leadership development resource for corporate universities, building his Internet start-up book summary company to over 700,000 subscribers worldwide. John received his BA and MA from Michigan State University in 1978 and 1979. John resides in Atlanta, Georgia along with his two daughters Katherine and Evelyn. Dr. Keith Merron is a Senior Executive Consultant for the Gender Intelligence Group. As an organization effectiveness and executive development specialist, he has more than 30 years of experience assisting executives and managers in business, government, and education. In partnership with his clients, he has successfully conducted over 25 large-system strategic, cultural and technical change efforts resulting in a measurable increase in organizational productivity, employee performance, and employee satisfaction. 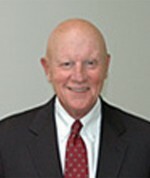 His work has positively impacted American Express, Hewlett-Packard, Freddie Mac, AmeriGroup Corporation, MedCath, Wang Laboratories, General Public Utilities, WorldCorp, California State Automobile Association, Endocare, The Healthcare Financial Management Association, as well as over 200 other companies and organizations. Dr. Merron has worked with gender issues for well over a dozen years and has led many workshops on the subject as well as many men’s groups. He is one of the founders of a men’s community dedicated to helping men become more healthy and whole and living their lives in a way that deeply respects differences between genders as well as the humanity that connects us all. Keith has designed and led over 100 seminars and workshops for leaders. He has helped create some of the most innovative leadership training programs in the country. His style is direct, honest, and supportive and he is noted for his ability to create memorable leadership learning experiences that have a lasting effect. Keith Merron received his Doctorate from Harvard University in 1985, where his studies spanned the fields of human and organization development. He has conducted research on the relationships between human development, managerial effectiveness and high performance, and has published numerous professional journal articles. He is the author of five books on personal and organizational change, most recently, Gender Intelligence: Breakthrough Strategies for Increasing Diversity and Improving Your Bottom Line, co-authored with Barbara Annis. The other four are: Riding the Wave: Designing Your Organization for Enduring Success, Consulting Mastery: How the Best Make the Biggest Difference, The Golden Flame: The Heart and Soul of Remarkable Leadership, and Inner Freedom: Living Authentically the Life You Were Truly Meant to Live. Dr. Merron teaches at Hult International School of Business. He has 2 children, lives in San Rafael, California and enjoys bicycling, golf, tennis and pottery in his spare time. Maria Stolfi, Senior Associate, has extensive experience leading global HR and culture change strategies in both corporate and consulting roles. Throughout her career in the financial services sector, she has become an expert on aligning people practices and culture to enhance business performance and employer brand. As a D&I thought leader, Maria was recently recognized as a Top 10 Global Diversity & Inclusion Leader by DiversityGlobal Magazine. She is certified in Gender Intelligence, Change Management, and as a Senior Professional in Human Resources (SPHR). Most recently, Maria was the Global Head of Diversity, Inclusion & Employee Engagement for Swiss Re after joining as SVP of Human Resources for the Americas Region. Previously, she held a variety of HR leadership roles at Prudential, Peoples United Bank and Merrill Lynch where she led a broad array of high impact business and HR transformation initiatives while acting as a trusted Board and C-suite advisor. Maria started her career in employee benefits consulting. She is on the Leadership Board of the Harvard Kennedy School’s Women and Public Policy Program, a member of Manhattanville College’s President’s Advisory Council and member of the Centre for Global Inclusion Diversity, Equity & Inclusion Futures Task Force. Maria is a 2018 candidate for a Master of Science in Organizational Management & Human Resource Development at Manhattanville College, where she previously earned a Bachelor of Science degree in Organizational Management. Maria has three grown children and resides in Greenwich CT with her husband. She enjoys boating, golfing, and travelling with family and friends. Jill Beresford is a Senior Associate of Gender Intelligence Group, and has over 25 years of Executive Management and advisory experience working with many of the Fortune 500. More recently, Jill has successfully worked in the Turnaround & Restructuring Industry filling the positions of CEO, CFO, CRO and/or CMO as needed. She has worked in a wide variety of corporate environments including private, public, international, start-ups, family-held businesses, Chapter 11 bankruptcies and turn-around situations. She brings a unique problem-solving and strategic perspective to troubled situations and turns them into profitable business-building solutions. Her experience includes being CEO and Board member of a publicly-held corporation during the 1990’s when less than 3% of publicly-held corporations were being run by women. Jill laments that she sure wishes she knew then what she knows now about Gender Intelligence! Jill’s M.B.A. is from Boston University. She is a volunteer mentor at the YMCA Training Inc., Treasurer of the Kerry Jon Walker Fund, and an Altar Guild volunteer at St. Stephen’s Church. She lives in Boston where, in her spare time, she is also a Zumba Fitness Instructor! Rayona Sharpnack, Senior Associate, has been teaching and consulting on Women’s Leadership, Diversity/Inclusion, and Gender Partnership for 25+ years. Drawing from her successful careers in education, professional sports and business,Sharpnack has become an inspirational teacher, coach and mentor for executives in Fortune 500 companies, government agencies, emerging businesses and non-profit organizations. Sharpnack has been unstoppable in her commitment to pollinate Gender Partnership in Fortune 500 companies and associations across industries. She has already made significant progress bringing the principles and actions of Gender Partnership to a number of Fortune 100 companies, which are seeing the financial, productivity and innovation benefits of men and women working together in true partnership. Her pioneering work has earned her numerous awards and appointment as Chairwoman of Leadership Development on the Women’s Leadership Board of Harvard’s Kennedy School of Government. Sharpnack has presented her outstanding achievements in advancing women leaders and building high-performance organizations to prestigious institutions and associations around the world. National publications, including Fast Company and The New York Times, have showcased her leadership model. The core of Sharpnack’s success is a methodology is detailed in her book Trade Up: 5 Steps for Redesigning Your Leadership & Life from the Inside Out. Sharpnack is also a contributing author to the book Enlightened Power: How Women Are Transforming the Practice of Leadership. 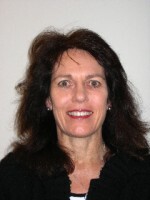 Dr. Maureen Gaffney has consulted and worked with a wide range of multi-national companies on a range of issues. Her special interest is in helping organisations build strong, emotionally–intelligent, and gender-intelligent leadership, teams, and work cultures. Her clients have included the Intel organisation in Ireland, in the US, and in Israel; Boston Scientific; Google; Amazon, Hewlett Packard, and Microsoft; as well as the banking and financial services sector in Ireland and the UK, and the educational sector in Australia. She is a much sought after speaker and has conducted seminars and master classes in Ireland, the UK, the US, Sweden, Germany and Spain, across the manufacturing, financial, pharmaceutical, retail, sales, recruitment and talent-management, accountancy, legal, tourism, hotels private health care sectors, as well as the public and farming sectors, and with many women’s professional network organisations. A psychologist by profession, she was Director of the Doctoral Programme in Clinical Psychology Trinity College Dublin for many years. She is a best-selling author, commentator, and broadcaster in Ireland. Her last book Flourishing was published by Penguin in 2011. She has served in a number of government and private boards in Ireland. 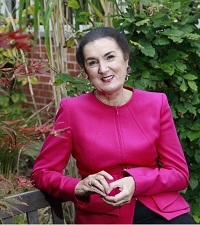 She was Executive Chair of the National Economic and Social Forum; Chair of Revitalising Areas by Planning, Investment and Development; and Chair of the Board of the Insurance Ombudsman of Ireland. She served on the board of the Health Service Executive which runs the national Irish health service; as a Council Member of the Economic and Social Research Institute; and served two-terms as a Law Reform Commissioner. She earned her B.A. in Psychology at University College Cork, her M.A. in Behavioural Sciences at the University of Chicago, and her PhD at Trinity College Dublin. She has completed Executive Education Programmes on leadership and governance in the Harvard Kennedy School, the University of Chicago Business School, and the Kellogg School of Management. She is a member of the Harvard Kennedy School Women’s Leadership Board, and served on its Executive Committee. Fran is a new Senior Associate of Gender Intelligence Group, with over 25 years of Executive Leadership experience. She is an accomplished Operations and Human Resources Executive with general management and human resources success across multiple industries and countries. Fran’s success is a result of her drive to serve as a catalyst for change through passionate and purposeful leadership with an unwavering commitment to diversity and inclusion, bringing organizational culture to life for all employees and stakeholders. Fran began her executive career in the telecom industry, starting within the Roger’s group of companies where she worked for 16 years in various customer and marketing roles. This opened the door to an opportunity to be part of a mobile start up in Prague, CZ. Her experience, skill and success led her to various international assignments across the globe with Vodafone Group, where she had the opportunity to be part of another mobile start up in Qatar as Chief People Officer and Chief Operating Officer. After 12 years abroad, she decided to return home to Canada and embarked upon a career in retail beginning with Sears as Vice-President, Human Resources and Centres of Excellence, and then Indigo Books &amp; Music as Vice-President, Human Resources and Organizational Development. Most recently, Fran worked for the largest Canadian retailer in Canada, Loblaw Companies Limited where she served as Vice-President, Talent. In her role she was accountable for the design, development and implementation of all strategies, programs and polices across the talent management lifecycle, including Diversity and Inclusion. Fran enjoys bringing practical talent solutions to organizations to enable leaders to achieve great results with their people. At the heart of this work, is her innate ability to create cultures where all people can thrive and do great work. She believes Gender Intelligence is one of the most impactful approaches an organization can implement to achieve outstanding results and create truly inclusive cultures. Fran lives in Toronto with her wife Astrid and their 2 fur children. When not working, she loves travelling to new and unusual places and working on her golf game. Kasper Jelsbech Knudsen, PhD and Senior Associate, is a Diversity & Inclusion specialist. He has worked as a trusted advisor for top executives, managers and teams in global companies and public organizations to develop gender intelligent strategies and inclusive leadership to transform organizational cultures. With a PhD in Anthropology and a background in neuroscience, Kasper applies a science-based approach to drive commercial results using gender intelligence. 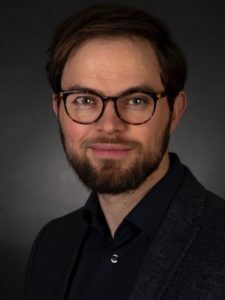 As an experienced facilitator, Kasper has worked successfully with clients such as Novo Nordisk, Siemens, PwC, L’Oréal, Mazars, BMI Group, Cowi, and the Danish Minister of Gender Equality, to name a few. As an Anthropologist – and a Scandinavian native – Kasper is a cultural expert and well-versed in applying corporate gender and diversity goals to a global context to secure buy-in from employees and managers in different countries. Hubert Saint-Onge, Senior Associate of the Gender Intelligence Group, has a broad practice centering on leadership development, talent management, and strategic planning/execution. Over the past 30 years, he has held senior management positions in leading companies and subsequently has supported clients with the development of the capabilities they need to realize their strategies. With a focus on execution, he has done extensive work on culture renewal, large system change and the alignment of human resource management to strategic aspirations. Recognized by Harvard University for his thought leadership in his field, Hubert was Visiting Scholar at Harvard in 2005-2006, where his main areas of focus were organizational learning, knowledge management and leadership development. He has given presentations globally on organizational learning, leadership development and knowledge value creation, and since 2002 has co-authored two leading-edge books in the field. Following a book he co-authored on communities of practice, his second book, The Conductive Organization, provides a blueprint for creating knowledge-based cultures in organizations to achieve breakthrough performance. His contribution was acknowledged by his global peers who designated him Most Admired Chief Knowledge Officer. His most recent book, Beyond the Deal, published by McGraw Hill in 2009, focuses on how an organization can best integrate newly acquired businesses. Kanika Tewari brings with her a rich experience of working with multinational organizations. She has worked on projects in Japan, America, Africa, China, Singapore, Sri Lanka and South East Asia. She is a keen diversity advocate, researcher and trainer. She is currently pursuing her Ph.D. in Diversity & Inclusion. Her pioneering work is on gender, disability, sexual identity, maternity and generational diversity. Her topics for research are Generational Diversity, Gender Intelligence and Talent/Performance Management. She also helps organizations with Prevention of Sexual Harassment (POSH) guideline and policy creation. An ATD and ISTD certified behavioral trainer and counselor, she holds workshops on “Cultural effectiveness in Global Diversity”, “Gender Intelligence” & “Generational Diversity” in Asia. She also mentors young women globally with the Cherie Blaire foundation. Kanika champions and mentors at “Destination Boardroom” helping women gain access to Boardrooms and achieve top executive positions. She is a visiting faculty member at leading business schools, MDI, IIFT, IMI and FORE School. She is an alumnus of Convent of Jesus and Mary and University rank holder, Pharma graduate from MIT. Her Master of Arts is in Women and Gender Studies from Delhi. Kanika is a state level Table Tennis player. She is an adventure enthusiast, an avid Cyclist and Certified scuba diver. She is married and lives in Delhi with her husband and son. Cari E. Guittard, Senior Associate of Gender Intelligence Group, is a founding Principal at Global Engagement Partners (GEP), an on demand global engagement, tri-sector strategy, and strategic influence consulting firm. In this capacity Guittard continues her corporate diplomacy and women’s leadership efforts as well as work on an extensive global portfolio of issues supporting numerous multi-national companies, start-ups and governments around the world. Guittard specializes in developing, branding and executing unique partnerships and grassroots campaigns nationally and globally for maximum impact. In addition to GEP, Guittard serves in an adjunct faculty capacity for the Hult International Business School teaching courses each year for graduate business students on Women’s Leadership, Corporate Diplomacy& Geopolitical Risk and International Negotiations. Prior to her teaching and work with GEP, Guittard served as founding Executive Director of Business for Diplomatic Action, a private sector-led public diplomacy non-profit whose mission involved engaging and guiding corporations on a variety of global affairs and public diplomacy activities. BDA was retired in 2008 however Guittard and two founding board members have continued the work of one of the effort’s flagship programs, the World Citizens Guide, which continues to provide global citizenship insights and support for Americans travelling abroad. Prior to BDA, Guittard served in senior positions at the US Department of State working on a variety of portfolios ranging from public diplomacy and public affairs to cyber security, counter-terrorism, and political military affairs. Guittard has extensive experience in the Middle East, Asia, Southeast Asia, Africa and Latin America. She has appeared in numerous media and radio outlets to include The Today Show, Good Morning America, CNN, Fox News, and the BBC. Guittard is a noted public speaker, speech writer, blogger and facilitator on issues related to foreign policy, public diplomacy, gender intelligence, women’s leadership and corporate diplomacy. Guittard earned a Bachelor’s of Arts in Government & Political Science in 1997 and an MPA in 1998 from the University of Texas at Dallas. In 1998 Guittard was selected nationally for the Presidential Management Fellowship. In 2007 Guittard was designated by San Francisco 7X7 Magazine’s Hot 20 Under 40, an annual profiling of emerging leaders in the Bay Area. In 2013, Guittard received recognition for her Women’s Leadership efforts by MBA Women International as one of their Hall of Heroes award recipients. Guittard supports numerous non-profits and serves on the advisory board of In/Pact Now, a leading empowered giving cause marketing company. Guittard and her husband reside in the Bay Area. Marguerite Mcleod-Fleming, Senior Assoicate of the Gender Intelligence Group has worked on over 100 programs with local and international companies including IBM, Deloitte & Touche, BMO Capital Market, Xerox, EDS, and Symcor. Marguerite was formerly a Sales Manager for Xerox and IBM. She is a Trusted Innovation, Creativity and Inclusion Advisor, Thought Leader, Keynote Speaker, Executive Workshop Leader, Consultant, and Designer of a the ICG Creativity Tool. She is also the author of a forthcoming book “Gender Intelligent Innovation”. She graduated with Honours from the MBA program at the Schulich School of Business. She has a Honours B.A. from the University of Toronto and a Certificate of French as a Second Language from Laval University. Pernille Spiers‐Lopez is a Senior Associate of the Gender Intelligence Group. She is dedicated to advancing Gender Intelligence, Cultural Inclusiveness and empowering women to achieve their highest aspirations while remaining true to themselves. 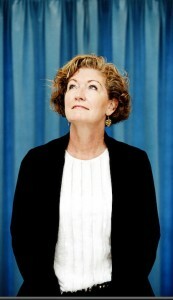 Pernille was the top female executive for IKEA, the leading home furnishings company globally. She was with the company for 21 years; among her executive positions, she served as President and CEO for IKEA North America and a member of The Executive Management Team of the IKEA Group for 10 years. During her tenure as President of IKEA North America, Pernille led the fastest expansion ever within IKEA, growing IKEA US from a small niche retailer to a nationally-recognized major player in its industry. She brought with her a wealth of experience in retail home furnishings, human resources and leadership. This experience was grounded in and enhanced by her commitment to the IKEA culture and values that are at the heart of the company and its success. Most recently Pernille was the Global HR Manager for the IKEA Group and its 135,000 employees. With her extensive business experience, she developed and implemented a new business-focused HR strategy empowering the organization, its leaders and co‐workers to grow business and people together. It is through this humanistic way of doing business that Pernille brought to IKEA perhaps her greatest asset: the ambition to foster an environment of growth, inclusion, balance and empowerment – while doing good business. Pernille serves today on a number of both corporate and non‐profit boards. She is on the board of Meijer’s Corporation and Coop.dk. She serves on the board of Save the Children US, on the Harvard Women’s Leadership Board of the John F. Kennedy School of Government and the local community organization, Good City Chicago. A native of Denmark with a degree in journalism, Pernille has lived in the United States for 29 years and resides currently in Chicago. Prior to joining IKEA, she was an entrepreneur with a Scandinavian design business and held leadership positions for several retail companies in Florida and California. Pernille has had numerous speaking engagements both in the US and internationally on topics focusing on gender leadership, diversity and sustainability. She is a powerful and engaging speaker who provides breakthrough insights with specific actions that can be easily applied. Pernille has just published her first book this year about her personal journey and lessons for women to use to enhance their leadership and their work-life harmony. Michael Kubina is a Senior Associate of the Gender Intelligence Group. As a Specialist in Gender Intelligence for Executives, Managers, Teams and Business Owners he is passionate about accelerating your business success and living a happier and more satisfying life. He started his experience within the financial coaching field in the year 1996. And in the year 2000 he added the business coaching field to his profession. Michael was originally trained as a Coach and Trainer in the Dresdner Bank. His experience as a financial planner has enabled him to amass a wealth of knowledge and experience in the business areas. He attended several coaching programs in workshops for financial institutes and has gained managerial and personal responsibility before becoming the first German practitioner under the Mars Venus Coaching brand founded on the principles and programs of bestselling author John Gray, Ph.D.
Michael is excited to be on the team of Barbara Annis & Associates, Inc. He brings his multi-lingual skills of English, French and German. Jane Hewson serves as GIG’s strategic advisor on Gender Intelligence and Inclusiveness, with a specific focus on creating accelerated breakthrough results. Jane directs the development of each GIG relationship – working closely with Barbara Annis and clients during the Project Design phase – and is responsible for ensuring all aspects of subject matter delivery and client relations are to the highest standards. Jane conducts research and workshops throughout a project life cycle. Over the past 30 years, Jane has counseled many of the world’s leading financial services firms, law firms, and corporations in the areas of management, communications, client development and marketing. 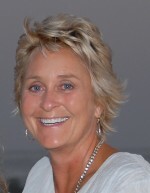 In addition to her Gender Intelligence focus, in recent years her work has ranged from enterprise-wide projects building effective teams and establishing systems and techniques for penetrating targeted global clients to coaching senior leadership in business network development and public profile enhancement. A graduate of Princeton University, BA in Psychology, Jane serves as a Trustee of the Down Town Association in New York, a Governor of the Princeton Club of New York, and a Trustee of the Cap & Gown Club of Princeton University. Nesan Naidoo, Senior Associate of the Gender Intelligence Group, has expertise in the fields of Gender Intelligence, Coaching, Mentoring, Organizational Transformation & Leadership. He has over 25 years of experience in Executive Management and Leadership roles and has worked with blue chip companies in South Africa, New Zealand and Australia including Old Mutual, Liberty Life, Commonwealth Bank of Australia, Momentum Life, ANZ Bank, National Australia Bank and Suncorp. He also works with business owners within the SME sector in diverse fields like Financial Planning, Accounting, Technology and the Cosmoceutical industry. 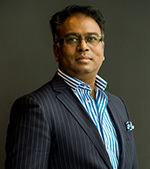 Nesan’s corporate experience, Coaching and training skills allows him to create a unique blend of empathy with business executives, whilst still being ‘bottom line’ focused. Nesan has been personally trained by Barbara Annis, Tony Robbins and Dr John Gray PhD and has conducted numerous seminars and workshops teaching gender intelligence with specific focus on Inclusive Leadership. Nesan was born and raised as a non-white person during the heightened period of Apartheid in South Africa. This period was marred with racial discrimination, social injustice and atrocities against human dignity and violation of human rights. Nesan learned at a very early age about perseverance, strength of mind, self-belief and an unshakeable faith in his ability to succeed against the odds. He was a key figure in leading the student resistance movement during his life as a student and was awarded the prestigious Abe Bailey Travel scholarship to the UK and Europe in 1988, for his leadership role. In 2005, the Australian Federal Government publicly recognized and awarded for his contributions to Australian Multiculturalism. Amongst his various credentials, Nesan is an accredited Global Master Trainer of Extended DISC, he holds a Bachelor’s Degree with triple majors from the Univ. of Kwazulu Natal (South Africa), Executive certification from the Australian Graduate School of Management, Monash University Business School, Melbourne Business School and the IMIA Graduate School of Leadership. Nesan is based in Melbourne, Australia with his wife of 28 years, his 3 children and their golden retriever, Gino. 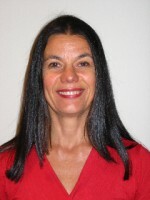 Dr. Jeannette Wolfe comes to Gender Intelligence Group through academic medicine where she is an Associate Professor of Emergency Medicine at Tufts School of Medicine/Baystate Campus and author of over 50 medical publications. As a 20 year veteran teaching and practicing medicine at one of the highest acuity emergency departments on the east coast her path intersected with Barbara’s through their shared interests on the impact of gender in communication, conflict resolution and stress management. As up to 2/3 of serious medical errors are due to communication flaws, Jeannette understands first hand the critical importance that Gender Intelligence can bring to medicine and other high stress, high stakes environments. Over the past 10 years, Jeannette has delved deep into the science behind biological and gender differences and to how these differences may subtly influence professional communication and career development. She has read, written and lectured nationally on these topics. Jeannette is an engaging and passionate speaker who is gifted in translating dense scientific material so that non-academic audiences easily appreciate its relevance. Jeannette is vice president of Baystate’s WAAM (Women Achieving and Advancing in Medicine) and is on the executive board of the national Academy of Women in Academic Emergency Medicine. Her professional association with Barbara began after they worked together at the national Impact Center’s executive leadership program. She is thrilled to be associated with GIG and to share her vast knowledge with new audiences. Heidi Rottbøll Andersen is a Senior Associate of Gender Intelligence Group, and for 11 years has been the driving force behind diversity solutions including both gender and ethnicity. Heidi is an entertaining and thought provoking keynote speaker, and an expert on diversity intelligence. She has primarily worked in organizations enhancing gender balance and cultural intelligence. Heidi was responsible for communications and corporate identity at Bang & Olufsen, and has held prominent positions in private organizations as well as cultural institutions. Heidi studied Strategy, Growth and Great Change Leadership Strategies on Innovation at Wharton Business School. In addition she is a certified LEGO Serious Play Practitioner. Heidi has conducted workshops and talks in companies and organizations like Novo Nordisk, Rambøll, Rockwool, SAP, Copenhagen Business School, Symphogen, Danfoss, Grundfoss, Vestas, Nordea, Danske Bank, and Danish Ministry of Foreign Affairs. She is a member of LIVING INSTITUTE’s Global Task Force and has traveled to the USA, India, Sweden, Iceland, Germany, Estonia, Norway and Portugal. Heidi is a member of ISS Diversity Prize jury and board member of Indian-Danish Forum. Her consultancy expertise includes Strategy Execution, Executive Coaching, Leadership Development, Identification and Development of High Potentials, Succession Management, Building High Performance Cultures and Managing Corporate Change. As an Executive Coach Maria Fernanda has guided business leaders in North America, Latin America, Europe and Australia in leadership development initiatives, business strategies and difficult business and professional issues. As a consultant and trainer, she has facilitated workshops in the United Sates, Argentina, Chile, Costa Rica, Peru, Colombia, Venezuela and Ecuador. She is the founder and president of “Mujeres por Mujeres” a none for profit organization that is helping promote the advancement of Women in Ecuador. Last year, in association with PwC and the Chamber of Industry and Production, with the technical collaboration of UN Women and the Interamerican Bank of Development, presented for the first time in Ecuador and award to recognize the best organizational practices to promote gender equality. The purpose of the award was to trigger the conversation and raise the awareness of the CEOs about the business case for gender equality. Today there are more companies that are including gender diversity as one of their business priorities. As a public speaker, she has been invited to present to different audiences about women’s advancement, leadership, productivity and execution. Maria is fluent in Spanish and English and is currently living in Quito Ecuador. She is very excited to be part of the Gender Intelligence Group and to have the opportunity to bring Gender Intelligence to the organizations in Latin America. Jan Hill is an expert at helping individuals, teams and organizations discover their full potential and then develop and execute strategies to make their visions a reality. Highly engaging and intuitive, Jan is a master facilitator with a knack for helping diverse groups work their way through difficult challenges. From her early years as a sales manager with Procter & Gamble, Jan has been an impassioned advocate for inclusive leadership. Now, with over 20 years of coaching, consulting, facilitating and program design experience with a global audience, she enjoys helping her clients find solutions for the issues that confound them. As a certified Hudson Institute Coach, Jan brings empathy and humanity to the personal development process. Satisfied clients include Microsoft Corporation, Procter & Gamble Distributing Company, Intuit, 3M Company, the U.S. Department of Defense, the Hershey Chocolate Company, AstraZeneca, and a wide range of entrepreneurial organizations. She is the author of Smart Women, Smart Moves. Dr. Niru Kumar, Senior Associate of the Gender Intelligence Group, has been powerfully impacting and transforming lives as an executive coach and trainer, with a unique blend of expertise as a medical doctor and psychologist. After a 20 years’’ experience in clinical practice she felt an intense need to help people even more deeply in personal and professional fronts. She realized that conventional medicine heals only the disease and not the individual. This led her to acquire qualifications in becoming a subject matter expert in the science gender difference and to be trained and certified to deliver Gender Intelligence training. Dr. Kumar has worked with a number of Fortune 500 companies including American Express, Coca-Cola, Walmart, Bharti, Aditya Birla Group, Vodafone, Yahoo, Intel, IBM, and Accenture. 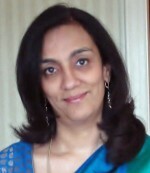 Dr. Niru is an extremely effective trainer and keynote speaker with a natural and easy flowing style of communication. She is quickly able to build rapport with her audience. She often appears on TV shows. She is also regularly invited to colleges to guide and motivate the students. Her positivism and genuinesess are indeed a source of inspiration to both men and women. Dr. Labovitz is a Senior Associate of the Gender Intelligence Group and the Founder of ODI, an international management training and consulting company. He counsels senior executives on organizational alignment and execution strategies as well as quality and productivity management. He is also professor of management and organizational behavior at the Boston University School of Management. He has published or contributed to management articles in Fortune, the Wall Street Journal,Quality Progress, and Quality Management in Healthcare. He is the co-author of Making Quality Work (HarperBusiness, 1993) and lead author of the bestselling book The Power of Alignment (John Wiley & Sons, Inc.1998). Dr. Labovitz has presented keynote addresses to diverse audiences such as world congresses on quality in Singapore, Jerusalem and Euro-Disney to national meetings of the American Hospital Association and the American College of Healthcare Executives. He has delivered numerous presentations to the annual meetings of ODI’s international customer base, which includes 12 of Fortune’s 20 top companies. He has twice been the plenary speaker at the annual meeting of the Federal Quality Institute, and has made presentations to the command structure of the United States Navy, Air Force and Coast Guard. ODI was twice named to Inc. magazine’s list of the 500 fastest growing privately held U.S. companies. AT&T, Federal Express, Nextel, Procter & Gamble and British Airways are among the leading corporations served by ODI. Government clients include the U.S. Navy, U.S. Army, U.S. Coast Guard, Environmental Protection Agency, U.S. Air Force, and the U.S. Postal Service. ODI was chosen by the United States Postal Service as the Quality Supplier Award Winner in the small service company category from among 60,000 suppliers. ODI’s healthcare division provides Continuous Quality Improvement services to over 240 medical centers in the U.S. and Europe. Dr. Labovitz received Boston University’s highest teaching award, the Metcalf Cup and Prize, which is awarded to the outstanding teacher from among the 2500 member faculty. He has been a Distinguished Visiting Lecturer at the Naval, Air Force and Army War Colleges. He has served as National Consultant in Administration to the Surgeon General of the Navy as well as the Surgeon General of the Air Force. He has also been an advisor on alignment to the Chief of Naval Operations. He frequently serves as a faculty member in executive programs at Boston University, The Defense Acquisition University, University of North Carolina as well as the Harvard Business School. He also serves as an adjunct faculty member at the Naval Postgraduate School. He holds a BS from Boston University, an MBA from Boston College, and a PhD from Ohio State University. Prior to his graduate studies, Dr. Labovitz served in the U.S. Air Force with the rank of captain, and was a pilot and aircraft commander. 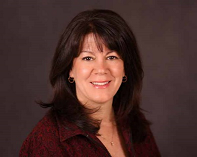 Debbie Merkenhof is a Senior Associate of the Gender Intelligence Group. She has been consulting in the areas of organisational change, customer focused sales & leadership capability and coaching for the past 7 years in Australia. Debbie has over 25 years experience in senior positions involving the implementation of sales strategies and leadership & people management for leading Australian and international organisations. With a focus on creating sustainable sales cultures, leadership capability and bottom line results, this approach has resulted in successful transformation of the sales and customer service cultures of some of Australia’s largest companies. More recently, Debbie has been partnering with organisations committed to aligning their organisational culture and leadership capability to their gender diversity strategies. She has consulted to organisations such as Westpac Group, Perpetual, Telstra, National Australia Bank, IAG, Lumley Insurance and NRMA. Debbie is a Certified Master Coach accredited by the Institute of Master Coaches and a Member of the International Coaching Council (ICC), MBTI Accredited Practitioner and she holds Certificate IV in Training and Assessment. Clare Beckton has worked with the Gender Intelligence Group for the past 10 years on matters of gender and cultural equality and leadership. In her work in both the public and private sectors, she has constructed key partnerships with stakeholders and citizens across Canada to develop public policies, laws and regulations, and to provide services and to deliver programs in periods of significant change for Canadian society. Clare received her LLB and her BA from the University of Saskatchewan and spent an LLM year at the University of Illinois. She taught law at Dalhousie University in Halifax, Nova Scotia, from 1974 to 1984, and, in that capacity, published a number of articles and several books. In 2005, as a Fulbright Scholar, she obtained an MPA with a focus on leadership from the Kennedy School of Government, Harvard University. In recognition of academic excellence and her exceptional contribution to public service and leadership, Ms. Beckton was awarded the Littauer Fellowship. In 2008, she was appointed to the Women’s Leadership Board of the Kennedy School of Government, received the Woman of the Year Award from the Federated Press for “exceptional achievement and outstanding leadership by a Canadian woman,” and was selected by the Women’s Executive Network for a Canada’s Most Powerful Women: Top 100 Award. She is also the recipient of a Canada 125 Medal. Beginning in 1984, Clare held various positions in the Canadian government, including within the Department of Justice, and most recently as the deputy head of Status of Women Canada. She is the author of Media and the Law as well as numerous journal articles. She has extensive experience related to equality rights, leadership through change, governance, gender, diversity and Aboriginal policy issues . Ms. Beckton has served as a presenter on diverse topics for domestic and international conferences and symposia. She has been an active contributor to various executive and community-based committees. 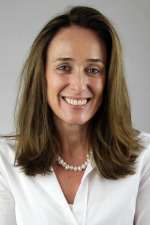 Claudia Studle serves as Senior Associate of the Gender Intelligence Group and has been a training consultant since 1990 with a strong experience in sales, leadership and communication training, coaching, bi-lingual intercultural seminars and management training. Claudia’s areas of specialism are sales, negotiation, telephone sales, presentation skills and leadership. 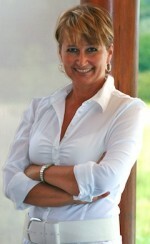 She works with small industrial firms, SME and global organisations all over EMEA. These include IT companies, banks, investment companies, food industry, building and production companies and Government Departments. Clients Claudia has worked with include Microsoft, Cisco, IBM, HP, Symantec, American Express, Haagen-Dazs Cafes, Abbott Laboratories, Covidien, Masterfoods, Bank C.I.C. EST, AVAYA, Nike, Merrill Lynch, DSM, Coca-Cole, ABF Ingredients, St Jude Medical, Carlson Wagonlit Travel, Brown-Forman, Willis, Securit, ENA (Ecole National d’Administration). She is particularly experienced working with managers, salespeople, technicians and administrative staff. Claudia has also advised German companies with branch offices in France on how to work more efficiently and understand the German or French culture. She translates both German to French and French to German. She has been an interpreter in both these languages. Claudia has considerable HR and sales experience and spent five years in Germany working as the deputy managing director in a recruitment agency. Other Diplomas: Diploma as professional training manager, Master Coach Certified by ICI Coaching, Master NLP, Stress management Trainer, Diploma in Appreciative Inquiry, Trainer for Progressive Muscle Relaxation, Pilates and Sports supervisor diploma. A native German, Claudia lives in France since 1991. She facilitates in French, German and English. She is married and has two children (a son, 17 years and a daughter, 14 years). Her hobby is painting and she has had her work exhibited a number of times. Kate Sweetman, Senior Associate of the Gender Intelligence Group, has been a leadership consultant for almost 20 years, working across the Americas, Europe, Middle East, and Asia with a broad range of clients, including Abu Dhabi Investment Authority, Novartis, Verizon, Nokia, Qatar Petroleum, Saudi Aramco, Singapore’s Ministry of Manpower, Omnicom, and DHL. She is also currently working with the American Democracy Institute to help develop high potential young women for leadership positions in public service in the government. Kate is also co-author of The Leadership Code: 5 Rules to Lead By, and author or co-author of many articles about leadership and related topics in publications including Harvard Business Review, Sloan Management Review, and The Economic Times of India. 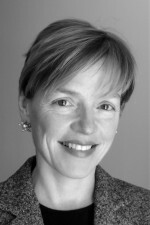 Kate is a former editor at Harvard Business Review, where she acquired and edited leadership articles. Currently an instructor at MIT’s Legatum Center for Development and Entrepreneurship, she collaborates with gifted young entrepreneurs from emerging and developing countries including India, Rwanda, Colombia, Vietnam, Venezuela, Zimbabwe, and North Africa. Ranjini Manian is Senior Associate of the Gender Intelligence Group. She has Bachelor’s degree in Psychology and French from Elphinstone College, Mumbai, and a Diploma in French literature from the University of Sorbonne, Paris. Ranjini is fluent in French, Japanese and Spanish besides English and several Indian languages. During the past 15 years working in the relocation industry in six cities in India, Ranjini has worked with thousands of clients from over 75 nationalities. Her passion for quality relocation and cross-cultural coaching services began quite by accident when an American friend needed help acclimatising to the challenges of living in India. Ranjini’s deep knowledge of the Indian ethos, her excellent orientation and communication skills and understanding of western etiquette proved to be the perfect combination to help expatriates understand the nuances of Indian culture for personal as well as business needs. What began as a two-people workforce has now grown to a 50-strong company, with offices in Delhi, Bangalore and Mumbai, and an exhaustive client base that includes companies including Nokia, IBM, Ericsson, Motorola, Saint Gobain, Dow Chemicals, Caterpillar, Daimler, BMW, Fidelity, GE Capital, and Cisco to name a few. Ranjini was mentored for ten years by Robert Kohls, the American cross-cultural pioneer, and is an expert at sharing this knowledge with Indian and foreign business professionals and coaching a new generation of aspiring ones. Author of Doing Business in India for Dummies and co-author of India chapter in The Sage Handbook of Intercultural Competence. 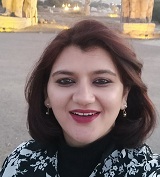 Editor of Culturama, India’s first free cultural magazine for expatriates (formerly known as At a Glance – Understanding India), architect of www.globalindian.com, an e-learning portal for young Indians. Co-chaired the Worldwide Employee Relocation Council’s Global Workforce Symposium and received their ERC Meritorious Service Award. Ranjini is the only Indian Executive Committee member on the Women’s Leadership Board at Harvard University. She recently founded the India Immersion Centre in Chennai, and produced Aikya India 2010, the first in a series of annual cultural events celebrating the spirit of oneness in India. She writes regular columns in leading business dailies and is a sought-after speaker. Holly is a Senior Associate of the Gender Intelligence Group, trained and certified to lead projects and workshops on Gender Intelligence and Inclusive Leadership. Holly has conducted keynotes and facilitated Gender Intelligence workshops in US, Canada, Europe, China, Dubai and India. She is the Founding Director of the Harvard Kennedy School Women’s Leadership Board and former Senior Associate Dean for Advancement and Senior Director for women’s initiatives for Harvard University. In those roles, Holly has focused attention on public and private opportunities for enhancing efficiency, productivity, and expanding opportunities for women in leadership capacities. Prior to serving Harvard university-wide, Dean Sargent spent 15 years at the Harvard Kennedy School of Government as senior strategist and fundraiser, building the infrastructure, creating new global fellowship opportunities, and catalyzing support for new centers whose academic research and policy issues centered on business and government, economic development, and democratic governance at the local and global levels. Holly has traveled extensively in Asia, the Middle East, and Europe, interacting with business executives at the highest levels to secure institutional partnerships. Concomitant with her successful professional career, she has been instrumental in launching and supporting other institutions supporting women. In addition to developing the Women’s Leadership Board, Holly was the Founding Director of The Council of Women World Leaders, served on the Women Leaders Initiative of the World Economic Forum, and is on the international advisory board for the Cherie Blair Women’s Foundation. Other board commitments include People’s United Bank, Right to Play, and the Gulf of Maine Research Institute. Holly received her bachelor’s degree in government and political science from Harvard University in 1978, and studied toward a master degree at Rice University. Sheila Harloe is a Senior Associate of the Gender Intelligence Group. 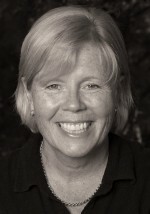 She has been consulting in the area of change management, culture and leadership for the past 25 years in Australia. With a degree in psychology and an interest in behavioral psychology, Sheila has focused her work on organizational culture and the difference that individual behavior change can bring to the whole organization. This is demonstrated by the sound return in business results as well as increased engagement of employees with the companies she has worked with. She has consulted with Australian companies such as Telstra, National Australia Bank, Westpac, Bank of Queensland, GESB, Insurance Australia Group and BHP in areas of coaching, mentoring, developing leadership capabilities of women, building high performance teams, sales and service skilling as well as leadership and management skills. Sheila is a certified Master Coach, is accredited in Myers Briggs and is a member of the Australian network of facilitators, the Australian Institute of Management and the Australian Human Resources Institute. She is also accredited in the area of Corporate Culture Transformational Tools instrument designed by Richard Barrett and used worldwide by international companies in Corporate Culture Assessment for Strategic Management Planning. Etienne has conducted sessions with Deloitte Canada, Industry Canada, IBM, Merrill Lynch, Great-West Insurance and MDS-Neopharm,to name a few. He delivers coaching to professionals and leaders motivated in accomplishing great goals across a spectrum of industries. Etienne was born in the Eastern Townships of Montreal (Qc) Canada. Today married and father of two, he has established a strong practice in Quebec. He is committed to quality of life and global success. Etienne speaks both Canadian official languages, French and English. His fundamental values are leadership, nurtured relations, inspiration and mastery. He is audacious and passionate, loves ambitious goals, which gives him access to new ways to resolve and innovate. He demonstrates great listening capacities and a sharp edge on conditions to success. He’s serves on several boards of director as an independent director and also offers his time to non-profit organizations. Following 28 years in three distinct fields, Val Sorbie has joined forces with Gender Intelligence Group as Strategic Advisor. 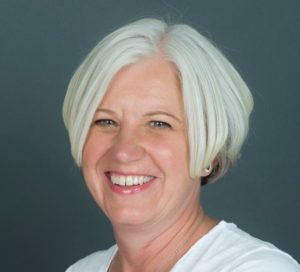 Val spent 15 years as a strategy consultant, followed by seven years leading operations for several technology organizations including COO roles at Kintera, a public software company in San Diego, Amdocs’ internet division, Trapeze Software and Audienceview. More recently, Val led Performance Delivery and Strategy for BMO Financial Group where she was introduced to Gender Intelligence and Barbara Annis by the Capital Markets Group. This led to her next role as Chief Administrative Officer of BMO Capital Markets where she developed a robust and sustainable program to sponsor high potential women with measurable impact. Val is also a member of Harvard Kennedy School’s Women’s Leadership Board, is Chair of the Strategy Committee for the Bishop Stachan School Board of Governors and is on the Black Business and Professionals Advisory Board in Toronto.